Grant Park, October 7 • 124 runners chose to run on behalf of the Chicago Parks Foundation, our largest team yet! Since 2014, Team ChiParks runners have raised a total of $450,00+ for the Chicago Parks Foundation. Their months of training and fundraising culminate in race day weekend with our party tent just steps from the marathon finish line in Grant Park. Congrats to these runners and their loved ones for the support! 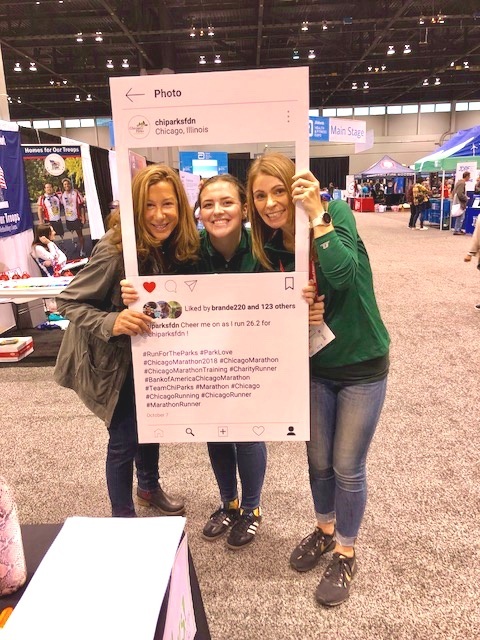 Another special opportunity this year was Bank of America’s “Cheers for Charity” station at the Abbott Health & Fitness Expo during marathon weekend. Every high five at the activation triggered a $.26 donation to CPF, totaling nearly $30,000!